LubriMist Oil Mist Lubrication Systems has the right size model to meet your needs. LubriMist® Oil Mist Lubrication Systems from Reliability Services offer you the best of two worlds – fast payback and a greener‚ cleaner facility – as they keep you Up and Running. With a potential twenty-year life cycle and a two year payback‚ LubriMist Oil Mist Lubrication offer an enhanced return on your investment. They “green up” your facility – and save you money – by using less oil through increased recycling and reduced discharge. Over 2‚000 LubriMist Oil Mist lubrication systems are in use around the globe in refinery‚ petrochemical and chemical processing applications. 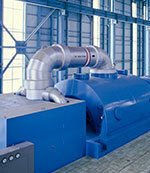 These oil mist systems are effective at points up to 600’‚ or 180m‚ via piping and tubing. Using no moving parts‚ up to 60 pumps and drivers can be lubricated with a single system. These efficient‚ centralized lubrication systems use compressed air to produce a clean mixture of low-pressure‚ atomized lubricated oil in precise amounts to ensure the integrity of machinery bearings and rotating equipment. They’re available in eight different models. That means virtually every lubrication system need is met. Whether you’re talking large-scale‚ fully automated systems up to one thousand bearing-inch capacities; intermediate systems; small‚ centralized systems; or isolated equipment – there’s a LubriMist oil mist lubrication model to meet your needs. IVT – designed for large-scale‚ fully-automated oil mist systems for process units requiring maximum control and monitoring and an interface with DCS. Microprocessor controlled‚ available in hot and cold weather packages. Up to 933-bearing-inch capacity. 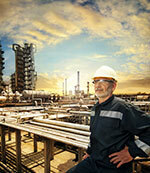 JR – intermediate system lubrication protection with auto-fill and a minimum external DCS‚ electromechanical control. Up to 500-bearing-inch capacity. VFP –lubrication for oil mist systems with very few lubrication points with manual lubrication fill. 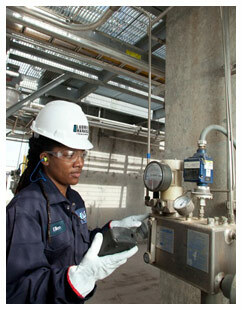 Unit offers alarms for high/low mist pressure and low oil level. Up to 500-bearing-inch capacity. VO – versatile‚ intermediate system that provides manual control and monitoring. Up to 500-bearing-inch capacity. VM – basic oil mist generation for small‚ centralized systems. Up to 300-inch-bearing capacity. LubriMate – designed for isolated or stored equipment. Requires no electricity. A closed loop oil mist lubrication system‚ requires no refilling. 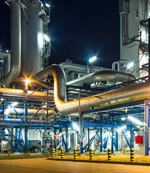 NV – fills critical needs of reliability and control for intermediate‚ multi-port systems in non-hazardous locations. Full monitoring with a six-gallon reserve. Up to 1‚000-bearing-inch capacity.